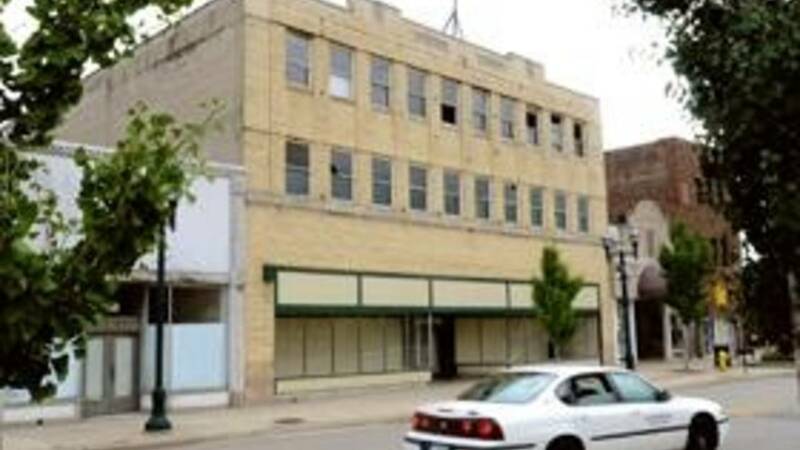 PONTIAC, Mich. - West Construction Services, a builder and developer specializing in historical preservation and architectural excellence, announced Thursday that it has recently kicked off the renovation and restoration of Pontiac's historic Sears Department Store building. The site is the future home of Lafayette Place Lofts, a LEED - certified residential and commercial mixed-use development. Lafayette Place Lofts will consist of 46 new upscale urban rental lofts, the Lafayette Market, which will specialize in fresh foods, and an Anytime Fitness center to serve both residents and the community. Located in the city's Commercial Historic District, the renovation of the 80,000 square foot structure is the largest construction investment in Downtown Pontiac in approximately 30 years. The $19.8 million project is funded by the State of Michigan Neighborhood Stabilization Program 2 (NSP2), a federal New Markets and Historic Tax Credit (NMTC Program) partnership with U.S. Bank, the Michigan Magnet Fund (MMF), State Historic Tax Credits, Brownfield Tax Credits, KeyBank as well as other private lending institutions*. With NSP2 funding, cities and The Land Bank can eliminate blight and address abandoned properties to increase values and rebuild a sustainable urban residential and neighborhood infrastructure. The NMTC Program helps to raise investor capital and leverages public and private funding to fill identified financing shortfalls in support of community development projects. A portion of U.S. Bank's NMTC investment will support the development of the Lafayette Market, which aligns with a commitment U.S. Bank made in 2011 to allocate a significant portion of its NMTC investments to projects that increase healthy, affordable food availability. "Pontiac's $14 million Neighborhood Stabilization Program grant we're administering with the Michigan Land Bank is creating jobs for Pontiac residents and a major investment for Oakland County," said Oakland County Treasurer and Michigan Land Bank Board Chairman, Andy Meisner. "The Lafayette Lofts multiuse development is a game-changer for Downtown Pontiac, bringing great new living, working and shopping opportunities." The MMF invested $9.5 million in New Markets Tax Credits. "The Michigan Magnet Fund Board is excited about investing in an innovative project that will stimulate Pontiac's downtown economy with new businesses and new residents," said Michigan Magnet Fund Chief Business Development Officer, Al Bogdan. "We believe this project is really going to benefit Pontiac," said Art Stoltzfus, KeyBank Community Development Lending. "The $5.9 million KeyBank is providing as bridge financing will enable the project to go forward on schedule. We are especially excited about the affordable housing aspect of the Lafayette Place Lofts Development, and the fact that portions of the building will provide outlets for healthy, fresh, locally-grown food. KeyBank is dedicated to serving communities where financial services have been scarce, and we're proud to be part of this catalytic project." Built in 1929, the Sears Roebuck & Company Department Store stood as a symbol of strength and stability through The Great Depression. The development of Lafayette Place Lofts will create more than 200 construction jobs and an estimated 100 permanent positions. "Utilizing an existing structure, especially one that has demonstrated such significance in our community's history, changes how we approach and value our iconic local treasures," said Kyle Westberg, president and CEO of West Construction Services. "It is no longer common practice to demolish buildings that have fallen on hard times; we see the importance to keeping and capitalizing on the historical integrity of each structure. Pontiac has long been a place where artists and the creative community live and work, and with Lafayette Place Lofts we hope to attract additional pioneers who share our vision for sustainable, healthy urban living." One and two bedroom loft-style apartments will range from $590 to $1,300 per month. Upscale amenities include exposed brick walls, vintage hardwood floors, open floor plans, historic large pane windows, granite countertops, upgraded stainless steel appliances and brushed nickel fixtures. The project is slated for completion in Dec., 2012.